P denotes the product of all the even natural numbers upto F, and Q denotes the product of all the odd natural numbers upto F. What is the minimum value F can have, if the product of P and Q is a multiple of 3213? 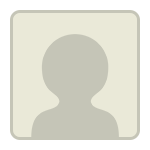 Originally posted by EgmatQuantExpert on 27 Mar 2019, 22:57. Last edited by EgmatQuantExpert on 28 Mar 2019, 01:21, edited 1 time in total. P denotes the product of all the even natural numbers upto F, and Q denotes the product of all the odd natural numbers upto F.
This means product of P and Q gives the product of all natural numbers upto F.
So product of all natural numbers upto F is a multiple of 3213. From above product of prime factors we can conclude that the product of all natural numbers till 17 results in a multiple of 3213. •	P = product of all the even natural numbers upto F.
•	Q = product of all the odd natural numbers upto F.
•	The product of P and Q is a multiple of 3213. •	The minimum value of F.
As per the definition of P and Q, P is the product of all even natural numbers upto F and Q is the product of all odd natural numbers upto F.
•	Therefore, P * Q = product of all the natural numbers upto F = Factorial of F.
•	So, as per the given question, F! is a multiple of 3213. Therefore, in F!, we will have \(3^3, 7\) and \(17\) at least. So, the minimum value of F must be 17. 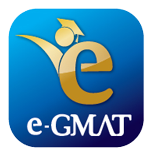 IEM’s (Indian Engineering Male) GMAT 730 and ISB Admit journey.